Hello and welcome to this week's Christmas Card Challenges. 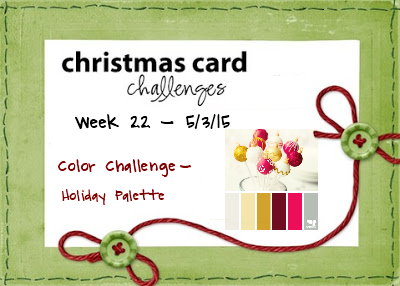 This week we have a Holiday Palette color challenge for you. I do hope you can play along and share your creativity with us. It has been an extremely long week for me and I must say that it's good to have a new one starting. I've not had the chance to do much creating in my craft studio as is evidenced by my lack of posts this past week. 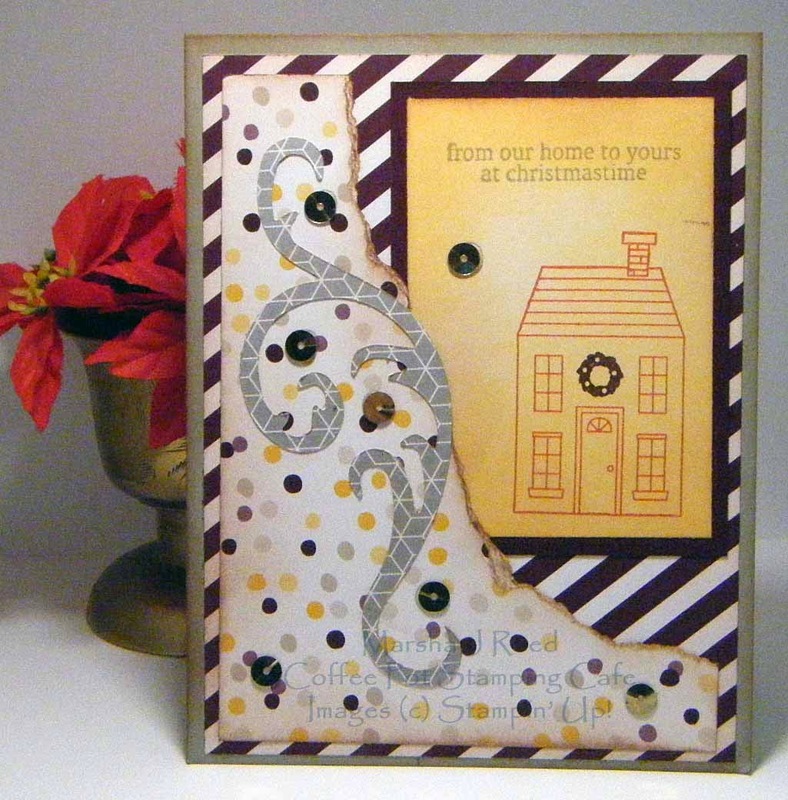 You can find all the challenge details at Christmas Card Challenges. Great card design and colour combo . Love the home ..